Tomorrow I am starting to teach a four-week series on Friendship at our church’s Thursday morning ladies Bible study, which is called Connection. One of the most rewarding processes about teaching for me is the studying and preparation that goes into putting together the four lessons that I will present to the ladies each week. How to break up the series, what are the four topics, what stories to tell, both secular and biblical, the verses to use, what relevant points do I want to make, when I’m done, at the end of the fourth lesson, what would I be happy to have accomplished? This is a series that I’ve spent about three months putting together from inception. I’ve used a few books other than the Bible as resource material, but for the most part, it’s come out of my own brain, my own thoughts and organization. The first lesson, this Thursday, will be an overview, a foundational lesson on the fundamentals of friendship, what it means to us and why. The second lesson will talk about honesty, the third deals with faithfulness, and the last talks about love, the kind of love in a friendship. That’s it. Pretty simple. I googled some pretty interesting stories to use. I had a few personal examples out of my own past, both positive and negative. One or two of the negative stories are not stories that I’m particularly proud to share, but they make such good points in the lesson that I needs must use them. Besides, I think the ladies like to hear stories that are personally related to the teacher. And the Bible stories abound, of course. There’s the great friendship lessons that apply to David in the Old Testament. First there’s the friendship he shared with Jonathan, King Saul’s son, who pledged such love to David that he risked his own life to maintain that pledge in the face of his father’s hatred of David as time wore on. Then there’s Nathan’s confrontation of King David when David blew it so horribly with Bathsheba and Uriah, her husband. If you want to know as much about friendship as there is to know, read the life of David and see the depth of David’s friendships for others and theirs for him. We all have friends. At least, I’m hoping if you’re reading this, you have friends. Maybe not dozens, but surely one or two. We all know the emotions – both good and bad – of friendships. I hope the lessons that I teach will embed themselves in the hearts of the ladies for the next four Thursdays and that we can all become better friends because we will be together. I know that I cherish the friends that I have. Some of them I’ve been in a relationship with for 30 years and more. That’s a lot of history, a lot of laughter, a lot of tears, a lot of praying together, seeing children grow up, weddings, funerals together, attending church, eating dinner, just talking and sharing life together. What I want for the women in this study is a greater sense of what God means for us to feel and experience when it comes to friendship, because I know that in heaven, friendships will not go away; they will only be enhanced. So we’d better learn how to do those relationships well now! As we begin 2012, would you take a minute to make a list of your friends? Would you take another minute to pray for those friends, for their health, both physically and spiritually? What can you learn about friendship this year that you didn’t know before? What can you teach someone else about this important topic? Friendship is so vital, so key to our happiness and ultimate joy in life; if you have at least one or two deep, sincere, honest, loving friends, count yourself blessed. I know I do. And be sure, as the new year starts, to tell a friend how much he or she is appreciated. Send an email, a Twitter, even a (remember these?) handwritten note or letter. Call them on your phone. 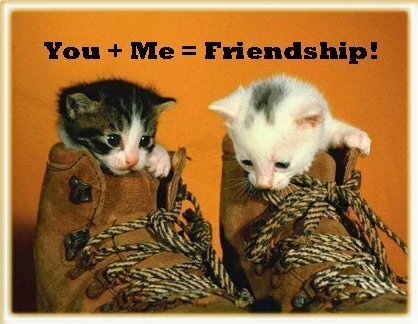 In some way, let them know that your friendship means a lot to you. And thanks for starting the new year as my friend and reading partner. I hope we become better friends as the new year becomes the older year. Thanks, Brad. Always appreciate prayers for a study like this. Blessings back to you. Sure wish I was there to hear this series. I know it will be good. Thanks, Sheryl, for your comments and your support. I wish you were here too, as I know you would have a lot to contribute. Dear Rita,I wish I could attend your study about friendship. Your emails and friendship during the difficult times have been a blessing for my family and me ! Thank you Rita for the reminder of friendship. My best friend Julie and I met in Kindergarten. So we are talking 39 years of friendship. We may only see each other once a year, but our love for each other is priceless. Bruce and I always say, “God has blessed us with richness in friends.” Loved your blog and only wish I could attend the study.